OSMOND - SWINDON, THIS IS SWINDON. Joseph Osmond was born in Hungerford in 1844. 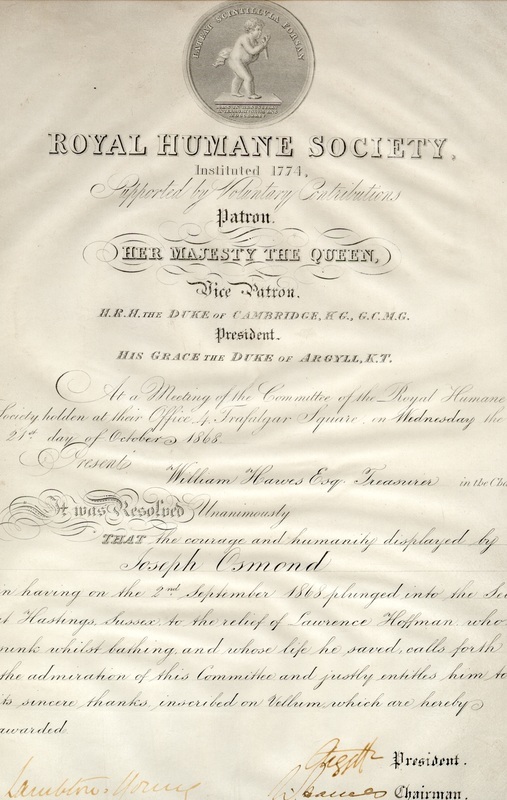 Prior to moving to Swindon on the 21st October 1868 he was given an award by the Royal Humane Society for saving a man from drowning in the sea off Hastings, Kent. The 1871 census shows he was lodging at 15 Wood Street, Swindon and is working as a Aerated Water Manufacturer. At the same time and just across the road at 12 Wood Street, E R ING is running his chemist shop. 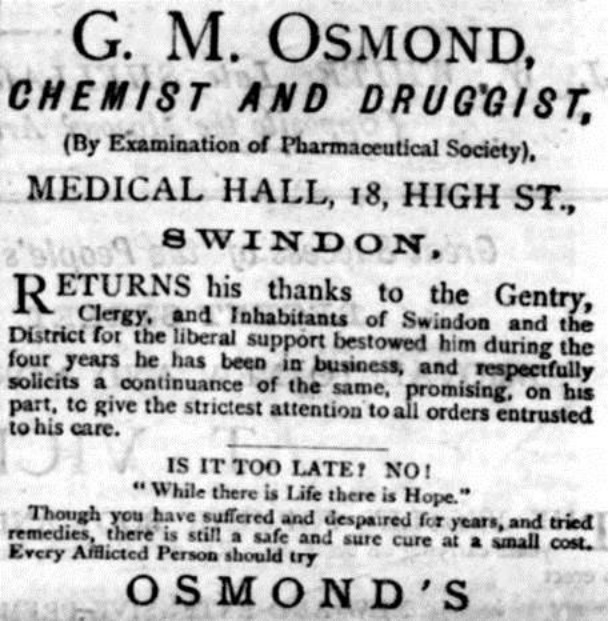 At the same time Joseph's brother, George Mattingly Osmond, is also a chemist operating from 27 wood Street, Swindon. 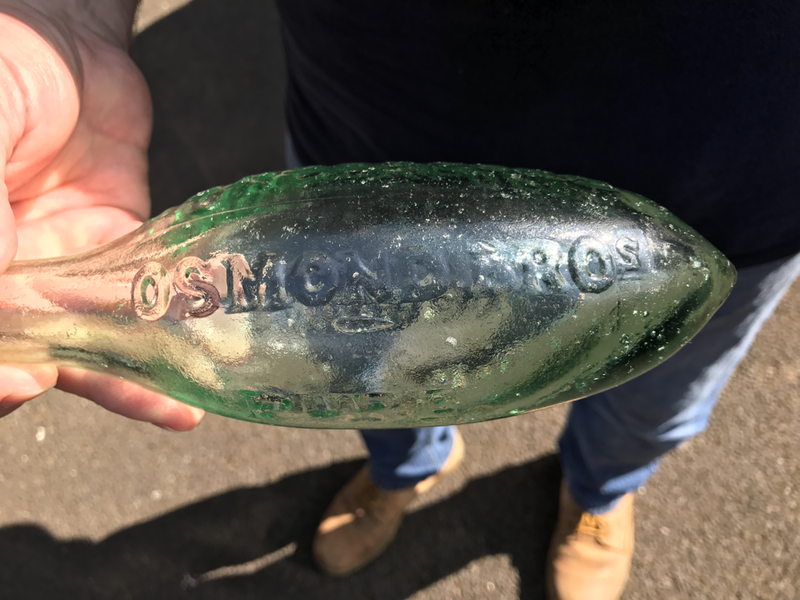 By 1873 Joseph has moved to 26 Belle Vue road, Swindon where he is running a Soad water and ginger Beer business by the name of Osmond Brothers. It therefore appears that Joseph & George are in business together. In Nov 1873 the Osmond Brothers are liquidating their assets, they are bankrupt. 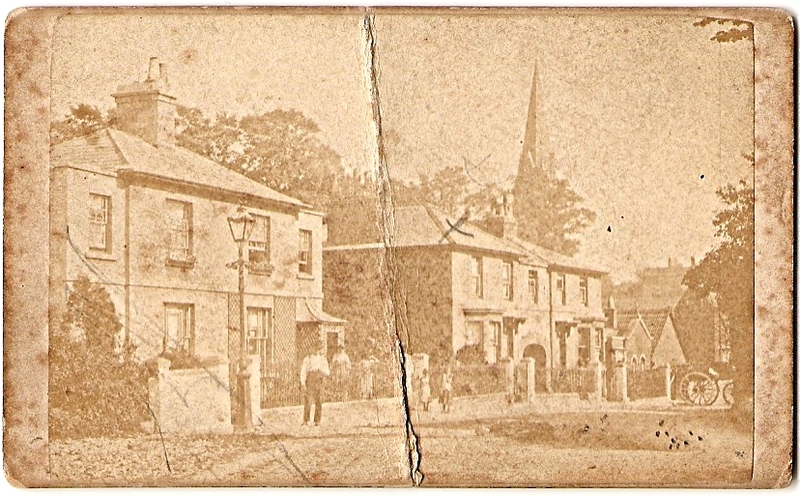 The meeting of the Creditors was held at the Railway Hotel, which was owned by BARKER, on 25th Nov 1873. George Mattingly Osmond's signature from when he joined the Freemasons in Swindon. Joseph continues to produce aerated mineral water and advertise his products in Swindon until 1878 when he is himself declared bankrupt in Sept of that year. By 1881 Joseph Osmond has moved with his family to Erith near Dartford and continues to work in the mineral water industry. He died a widower in 1898.